A week ago I wrote a blog called Child Murder about the homicide rates for children under 5 over the past decade. It was written in quite a hurry, just before I went away on holiday for Easter. When I wrote it I did not think that I would end up devoting much more time on this topic, but after a bit more reading and reflection I have found that I am dissatisfied with what I wrote and have a number of unanswered questions I have yet to resolve. Instead of editing the old piece, I have decided to let it stand and write a new blog. The initial motivation for this was to highlight the extreme discrepancy between the murder rates for the trans identified demographic (a miniscule number) and that of Under 5s (a very big number, significantly larger than the national average). I also wanted to draw attention to the different political emphasis surrounding the two types of murder. 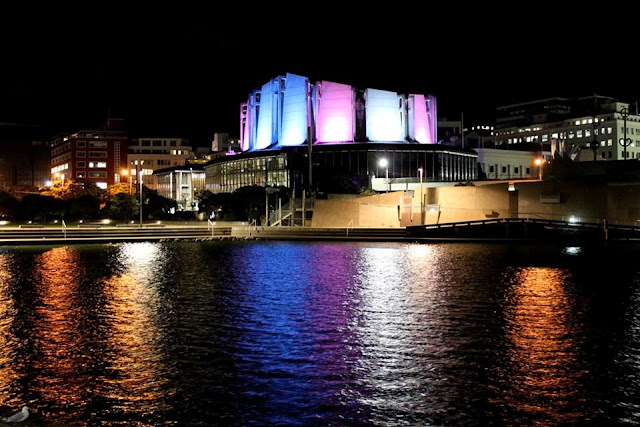 In the case of Zena Campbell, the Wellington Town Hall is lit up with the blue and pink colours of the Trans Pride flag and Green MPs make righteous statements at candlelit vigils. 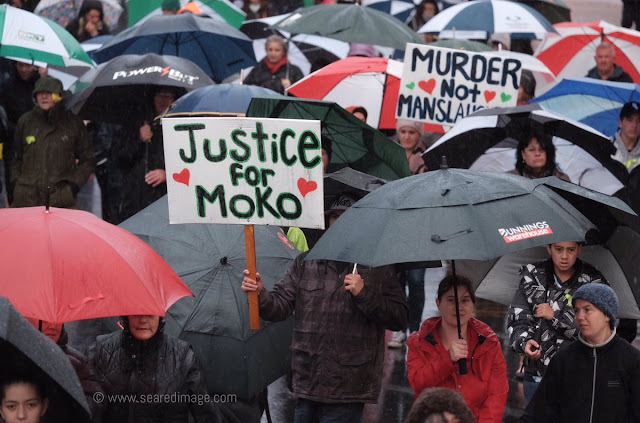 In the case of the death of Moko Rangitoheriri, rallies around the entire country demanding harsher sentences and ‘Justice for Moko’. For the liberal left in New Zealand, taking part in public spectacles highlighting the murder of trans people are an easy way to gain virtue credits from a Wellington centred, Spinoff reading, Green party voting middle class demographic. For the conservative right in New Zealand, taking part in public spectacles highlighting the murder of young children is an easy opportunity to push a number of Outrage Buttons: the offenders are typically Maori, unemployed, unmarried and drink alcohol. They get off on manslaughter charges, so we need to tighten up the justice system and make sure they get long sentences for murder. As I demonstrated in my earlier blog the sections of the regressive left who push the ‘trans people have higher murder rates’ narrative do not have facts on their side. This is true not just for New Zealand, but for many other countries including the UK, the US, and Canada. While I despise the racist, beneficiary bashing, drug and alcohol scapegoating politics of the conservative right, a statistical analysis of child murder rates over the past 20 – 30 years has led me to realise that they really do have the facts on their side: the murder rate for the Under 5 years old demographic increased markedly over the period, and now far exceeds the murder rate for the general population. In this piece I will focus mostly on the historical statistics comparing the murder rate of the general population to that of the under 5 years old demographic. I will conclude with some links to other studies and some broader remarks and speculations, but my main intention here is just to highlight and explore the most obviously relevant statistics. Without pretending to have the ‘answers’ that the left needs in order to articulate a strong and credible narrative around these deaths that would serve a progressive (rather than conservative) agenda, my hunch is that such a narrative would involve careful scrutiny of the historical record. As something of an amateur statistician, one thing I have learned is that searching for data on the internet is nowhere near as easy as you would assume. 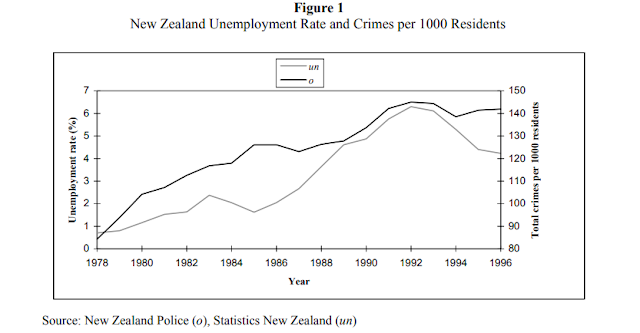 A very simple table of values showing the homicide rate per 100,000 people for New Zealand over the past 60 odd years does exist – but the data is not exactly the same as that found in other sources (for example here or here here or here ).There appear to be at least three different ways of measuring homicide: sometimes it includes only murder, sometimes it includes manslaughter, and for the even more broad ANZSOC (an Australian classification system) it includes attempts at murder. All three definitions arrive at distinct sets of data, and this makes comparison with rates of child murder quite difficult. The issue of ‘murder vs manslaughter’ is not just a political hot potato, it is also a statistically important question which potentially distorts and confuses the data. 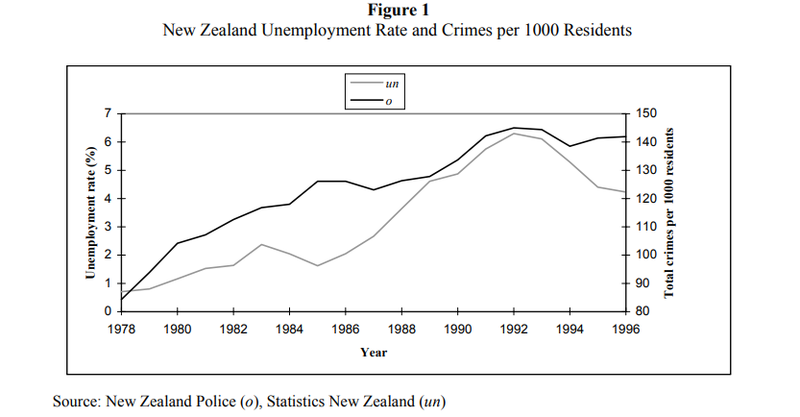 I have now looked at dozens of academic and government studies alongside several New Zealand media articles form the past decade, and there are clearly inconsistent standards being applied. For example, if you look at the figures for child homicide in this Stuff article from 2015 and compare it to those from a Police report for the 2007 – 2014 period, the differences are quite notable. Even though the graph from the Stuff article is for the 0 -14 age bracket (which should give data points equal to or higher than the 0 – 5 age bracket), some of the numbers are higher (2009: 16 vs 12) and some of the numbers are lower (2007: 7 vs 10). Despite considerable effort, I could not find a single data source for a long historical period (1978 – 2015) which I could use to compare the general population homicide rate with the Under 5s rate. In the graphs which follow, I have used a variety of different sources to cobble together the data needed for a long term view. If anyone out there reading this can point to data sources which would provide a more robust and consistent approach, please let me know. Till then I will simply note my sources and acknowledge the limitations of this data. This graph shows the general population murder rate for the entire period from 1949 to 2014. Through comparing the numbers with other sources, it seems that this data is based on a narrow (murder only, not manslaughter) definition of ‘homicide’. So it should be noted that the rates are lower than they appear in other sources. Also, I have supplemented the data for the years 2010 – 2014 from the Police report (using murder stats only). The overlapping years (2008, 2009) give close but not identical figures. Lawrence cites Christoffel, Lui and Stamler (1981) who suggest that rates of death from assault for children aged 1-4 years closely correlate with deaths at all ages. Similarly, Fiala and LaFree (1988) argue that rates of violence for children and adults are similar. If child abuse were a “Maori” problem, we would expect to see it only within Maori families. However, it occurs in communities the world over. Family violence, sexual abuse of women and children, high levels of drug and alcohol abuse, poverty and high levels of crime occur in other highly stressed communities. Aboriginal communities, Native American communities in Canada and the US, and African-American communities in the US are all grappling with these problems. At present Australia is going through the same soul-searching as New Zealand in respect of its Aboriginal people. The same arguments for and against government intervention in Aboriginal families and communities are being aired, and the same lack of consensus is evident. Child abuse is not, therefore, a function of race or genetics, but rather a function of whatever those communities have in common. This very clear historical shift is notably absent from all of the sensationalistic media attention devoted to cases such as the Kahui twins and Moko. It is also largely absent from most of the government reports on the issue, which tend to focus on data from narrow time periods (for example, this MSD study which limits itself to 2002 – 2006). The second, and most staggeringly awful thing about these graphs is the change that happens over the first decade and a half of this century: while the general murder rate slowly falls back to around 1 per 100,000, the rate for under fives increases. The average rate for the period between 2007 and 2014 is around 2.6 per 100,000, more than double the rate for the general population. To be sure, there are statistical reasons we need to keep in mind when looking at data sets this small and volatile. A rigorous statistical study would need to address these issues, and this sort of thing is way beyond the scope of this blog. The thing that strikes me is that wretched and small minded conclusions insinuated by sensationalistic media reports and conservative groups like the Sensible Sentencing Trust are very clearly not the only viable forms of analysis. A politically conscious and historical study of the data which related the tragic increases in child murder to the devastation wrought by the neoliberal reforms of the ’84 – ’92 period would serve the interests of the left, not the right. I’ll conclude this sketch of a possible project with an hypothesis. The continuing high levels of child murder throughout the period between 2005 and 2016 have another thing in common: the perpetrators – almost always family members, and often mothers or fathers – are typically young. These perpetrators would have been born sometime in the period, say, between 1985 and 1997 or so. I haven’t looked at the stats yet but I’m guessing the families they came from had all the frequently remarked upon signs of deprivation and domestic violence. There’s a story to be told about drugs and alcohol and single parent families for sure, but there is another story too which recognises history: these little children probably never watched the 6 O’Clock news when they were toddlers, but if they had done so they would have heard the arrogant tones of Roger Douglas and the harsh metallic voice of Ruth Richardson. Those voices never told them what to do or controlled their actions directly, but the social shockwaves generated by their decisions continue to kill.